THE FILM PATROL: The Limitation Game: How inaccurate does a historical film have to be to succeed? The Limitation Game: How inaccurate does a historical film have to be to succeed? 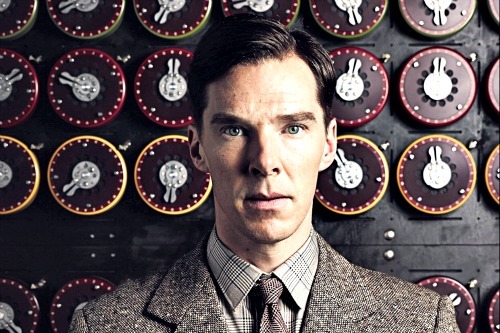 Benedict Cumberbatch as Alan Turing -- lies as truth? First of all, let’s get over our collective and recurring indignation at the fact that historically inaccurate films have been made, are being made, and will continue to be made. The furor over such recent films as The Imitation Game, Selma, and American Sniper ceased resonating shortly after this year’s Oscars ceremony. Certainly those who film writer Bilge Ebiri calls “historical-accuracy hit squads” (1) are gearing up for the next assault wave, which will begin as soon as the historical-drama Oscar-bait dramas start issuing forth in the fall. 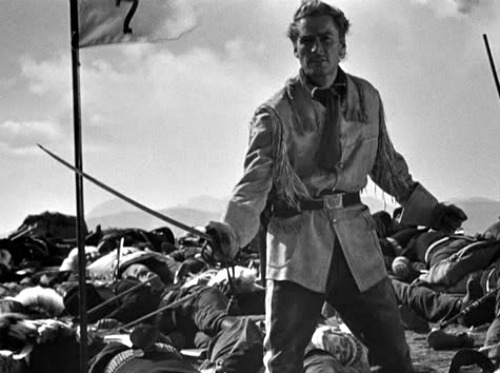 Errol Flynn as Custer -- one heck of a guy, according to 1945's They Died with Their Boots On. There are a host of volumes out there on historical films and their shortcomings, most entertainingly George MacDonald Fraser’s The Hollywood History of the World, and a notable website, History vs. Hollywood (historyvshollywood.com), that continues to vet film and TV projects large and small that purport to serve as history’s handmaidens. A movie’s primary mission is to prevent the audience form ceasing to watch it, and no one should be apologetic about that. Imitation Game writer Moore talks about how many historical films are bogged down with a boring literalness – a point well scored in Ricky Gervais’s 2009 fantasy The Invention of Lying, in which a truthful world makes movies that just consist of people reading facts out of a book into the camera. The dynamics of good story are of essence different than the random jumble of banalities, irritations, and epiphanies that make up daily life. Our storytelling consciousness demands a protagonist, a conflict, obstacles overcome, denouements inflicted. We need closure. We like to see someone win. We want meaning. Senator Stoddard (Jimmy Stewart) gazes at the coffin of the an whose heroics made him famous in The Man Who Shot Liberty Valance. Our addiction to truth is provisional and value-specific. We want to know that what we are watching is “based on a true story” (David O. Russell’s recent film American Hustle has an opening title card that declares, refreshingly, “Some of this actually happened”). However, we want the “truth” to conform to our sense of decorum – whether religious, political, moral, or ideological. Liberals hated American Sniper; conservatives hated Milk. Reality shows are scripted, sculpted, the loose ends snipped, the irritating unresolved conflicts ignored. In fiction, we need to round off our experience with a wedding, a killing, a conversion. My quibbles with Imitation Game isn’t that it’s inaccurate; it’s that its dialogue is more wooden than Washington’s false teeth. In Imitation Game we get people stating their character points instead of showing them, of expository speeches below the level of a garden-variety BBC docudrama, a valedictory coda that never took place. We are told what to think and how to think it. It’s didactic filmmaking at its condescending worst. Compare it to Hugh Whitemore’s 1986 play Breaking the Code, which takes similar latitude with facts, but produces a much more complex and nuanced portrait of Turing (fortunately, Derek Jacobi reprised his stage role as Turing for a 1996 BBC adaptation). 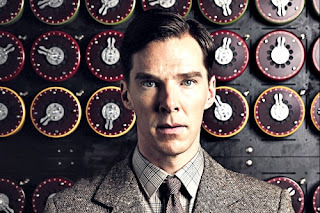 By doing so, it doesn’t build Turing into a gay proto-hero, or elide criticism of society’s continuing inability to tolerate difference, both of which I feel Imitation Game does. But hey, Imitation Game made money, which is the bottom line. Right? I will never have any problem with creating income-generating work that helps people feed their families. And many will argue that any distortions are justified in creating a narrative that people can buy into – an entry point for learning more about the topic. Was Cole Porter gay? Not if Cary Grant plays him. Night and Day, 1946. This to me seems like a slippery slope, as difficult as attempting a career as a classical conductor after only whipping once through the Reader’s Digest “100 Most Beautiful Melodies” compilation. We think of FDR as a loveable scamp because he sings in Annie, and because Bill Murray played him. 50 years ago, Roosevelt was still portrayed as a demi-god, in the famous Ralph Bellamy Sunrise at Campobello interpretation. Perhaps half a century hence he will be as demonized as only my Republican ancestors were capable of stigmatizing him (my grandfather was the only guy in the state of Nebraska to vote for Goldwater). Think about the poor saps that had to play Stalin. 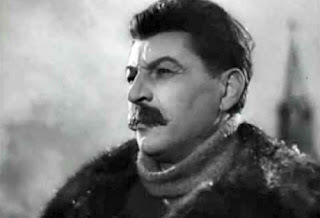 The Soviet dictator had not one but two actors, Mikheil Gelovani and Aleksei Dikily, who, in film after patriotic film, were inserted as Stalin. The deification of the Stalin character helped to imprint a cult of personality diametrically opposed to the conscienceless killer American students have been taught he was. After Stalin died, all these roles were banned or snipped out of the offending films, and the two actors couldn’t get work due to their association with the role. Since then, he’s been portrayed as a monster. In resurgent Russia, where popular affection for him remains, will he become a heroic screen character again? If need be, certainly. So – how far do we take it? Do we retool every true story without remorse to make it work on screen? When does a story reach the tipping point, so that it becomes just one more piece of misinforming crap that has to be overcome to achieve real understanding? And do documentaries, with their similar need to compress and simplify, do any better? I moderated a dialogue on this topic once at the Boulder International Film Festival, among a dozen filmmakers of both narrative and documentary films. The talk went on for two fascinating, heated hours and could have gone on for much longer. 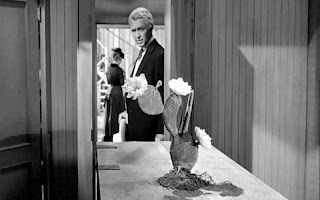 Every film sits somewhere on the spectrum between slavish attention to detail and complete disregard for same. When we dumb down a story so people will get it, we lose the not-so-inspiring but necessary wisdom that comes with maturity, the fact that real truth is far less inspiring than we would like it to be. 1. 1. Bilge Ebiri, Vulture, “Oscar Films and the Prison of Historical Accuracy,” 1/7/15.